It was about time they would come up again with another name, and here you go, Litigalo, the latest name used by the FAKE and FRAUDULENT set up from Tenerife. 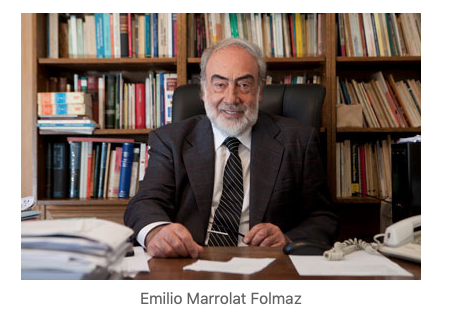 Litigalo is supposedly founded by a lawyer called Emilio Marrolat Folmaz. This person does not exist! Litigalo is the first stage of this elaborated scam, where initially the consumer is cold called and offered to join a supposed claim against their resort. A claim, which is about to go through courts, and the consumer, is just on time to join. At this stage nobody asks money from the consumer and a follow up email is send out by a lady called Katiana Lamamel Conioh. Again a complete fake name! 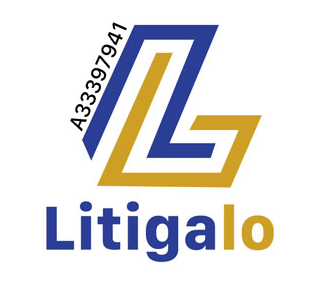 On the websites from Litigalo, http://litigalo.com & https://litigalo-tenerife.com the first thing that catches the attention is their Logo which is almost identical to the logos of all the other fake names they used. 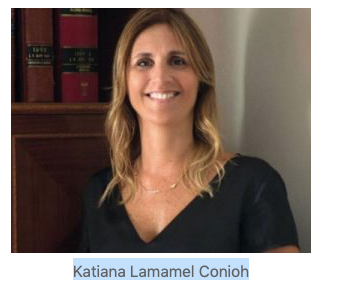 Pictures from the lawyer Emilio Marrolat Folmaz turn out to be from a Argentinian lawyer called Eduardo Barcesat, a specialist in defence of human rights and the picture of this Katiana is in reality from another lawyer called Maria Sanchez Herrero. Address given on the web for their offices; Calle de Santo Francisco, 4 Edificio, 38002, Santa Cruz, is fake as well. Please be careful with any cold calls, and do not provide any personal details to a stranger who calls you out of the blue, not even if they claim to be “lawyers”! If Litigalo has contacted you already, please do let us know. The next stage they will be going for your money! This entry was posted in Canary Islands, Fake lawyers Tenerife, Fake Lawyers Tenerife, fraud, Legal Services, Mediation services, Tenerife, Warnings and tagged Emilio Marrolat Folmaz, Fake Lawyers, Fake lawyers Tenerife, fraud, fraudulent activities, Katiana Lamamel Conioh, Litigalo, Santa Cruz de Tenerife, Scam, St Cruz Court. Bookmark the permalink. 1 Response to Litigalo the latest FAKE lawyers office cold calling from Tenerife. I received an unsolicited call from Litigalo in late January offering to reclaim money on a no win no fee basis for the mis-selling of a time share in the UK. Suspecting a scam, I let them carry on and received 2 emails from them. The first attachment was from Litigalo and the second from Litigalaw but with all the same contact details etc. Eventually they asked for money to pay a procurator – only 434 euros – which is fully refundable at the end of the case! When I received the follow up call I told them that, as the fee is fully refundable and they are operating on a no win no fee basis they should pay it. Unsurprisingly, they said they could not do that even though they stood to earn 20% of the 8221 euros they told me that was the minimum that I would receive. Needless to say, I have not parted with any money. I have reported this to Action Fraud and the Solicitor’s Regulatory Authority.